I put a poll out not too long ago on Twitter asking if people would like to see a ‘What’s In My Work Bag’ kind of blog post, the majority of people who voted seemed to want it! So, here’s that post. Below is a picture of the bag that I use for work at the moment. This bag is pretty new and I haven’t been using it for long but I love it, it’s absolutely perfect for work for me. I got it from Peacocks for £20 which isn’t bad if you ask me! I knew that I wanted a new work bag because the one that I was previously using wasn’t big enough in all honesty. Now let’s get into what’s actually inside of my work bag. It’s not all that interesting but I hope you enjoy reading nonetheless. Planner/Diary – A planner/diary is definitely a must for my work bag! I have no idea what I would do without it. For my planner/diary I decided to use a blank lined notebook from WHSmith to personalise my planner from scratch. Kind of like a mixture between a diary and a bullet journal if that makes any sense whatsoever. 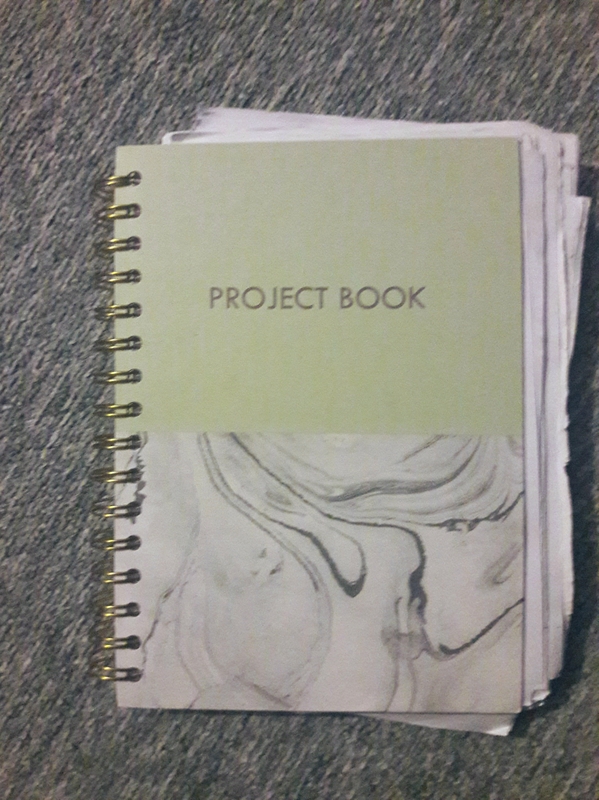 Project Book – As you can tell, I like my notebooks. This particular notebook is what I use specifically for work only. In here I tend to log any training that I’ve completed on the job so that I have a record of it as well as any passwords that I need to make a note of for work, just in the off chance that I forget them. A current read – I always like to make sure that I have a book on me for something to do during my lunch break. As you can see below my current read is The Fire Child which I’m currently carrying around with me! 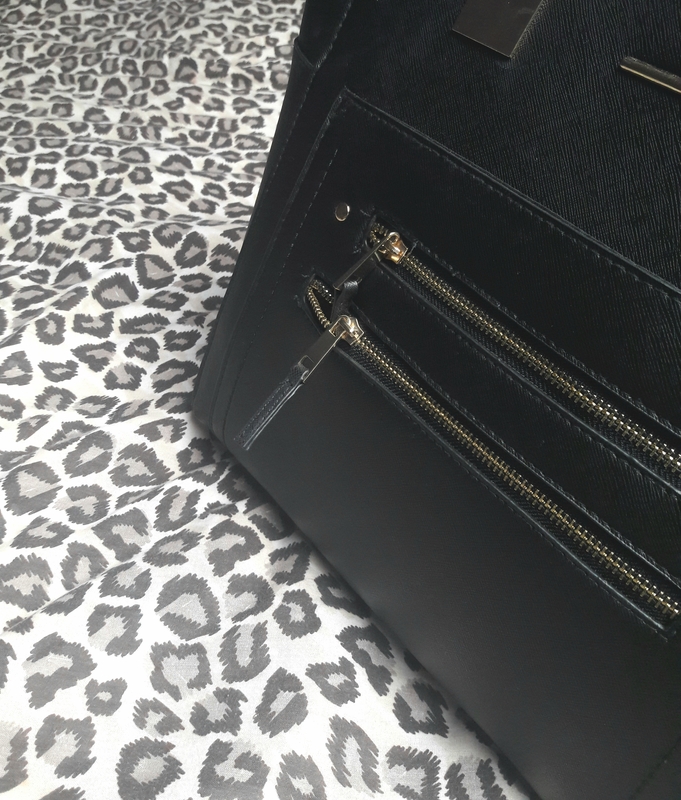 Purse – Having my purse with me at work is definitely important when I fancy going on a wander into town during my lunch breaks. Headphones – Headphones are another must for me personally. They’re great for when you’re travelling to work on public transport or during my lunch breaks when I want to shut myself from the world for a short period of time. Water – Water is the only thing that I ever drink at work, except for the occasional hot chocolate in the mornings that is. Having a water cooler in the staff room is definitely helpful for refilling it throughout the day too! I always feel lost without my water bottle at work if I don’t have it on me. Staff ID – I always make sure that, at the end of the day when I come home from work, I have my Staff ID in my bag so that I know where it is. Without my staff ID I can’t get in anywhere which wouldn’t be great, would it? Lip Balm or Lipstick – It’s a must for me. What are some of the items in your work bag? Not sure if theres a fault but theres no picture? I absolutely hate my work bag with a passion!I’m a software consultant and I have to carry a laptop and briefcase everywhere and it’s sooo heavy! Ahh, I can understand why you hate it! Great post! My work bag is always full of marker pens and receipts. Love what’s in my bag posts 😃 I am a stay at home Mum at the moment so my “work” bag is full of snotty tissues, half eaten bags of crackers and random kids toys, it’s nice to see what a normal organised persons bag looks like ! Great post. I always have a current read in my bag too! Loved this! Headphones are also a must for us too. I’m still a student so no work bag for me (unless you count my little purse that I carry around when I have to go to my student job, with only my purse and my phone haha). I hardly take anything to work with me and this makes me feel even more unorganised! I need to get a planner so I can write down my tasks for each day as I’m often in a rush at the end of the week wondering if I’ve done everything! 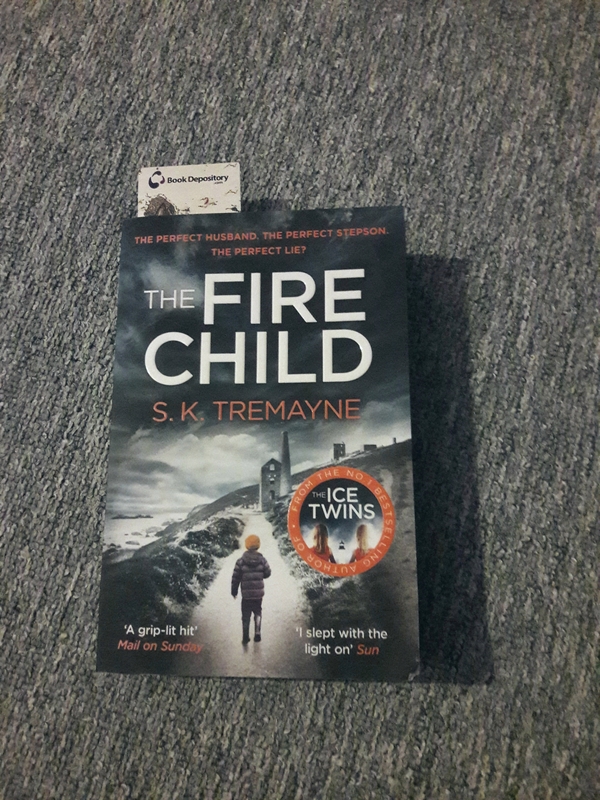 I’ve got The Fire Child on my TBR pile, I loved that authors last book so I’m hoping that lives up to my expectations, hope you enjoy it!